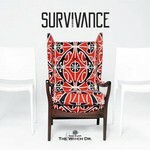 Survivance - the stunning second album, shows a new side to the multitalented Ruha and delivers a powerful message with an uplifting blend of contemporary R&B and soul tracks, promoting the Māori nation as capable, connected, morally courageous, prophetic, relevant, spirited and unrelenting in their pursuit of self determination. Rob Ruha is an iconic composer and solo artist of a new generation of Māori. Born of a powerful lineage of Māori artists, Rob was nurtured in a community of rhythmic dance, pulsing haka, spontaneous song, dynamic Māori leadership and a legacy of innovation to be the artist he is today. In 2014, under the guidance and mentorship of Maisey Rika, Ruha launched his solo career and soon gained international recognition for his unique style of music, which became known as Haka Soul. Ruha has collected a trove of awards, including Best Māori Album at the New Zealand Music Awards in 2016 and 2014; Best Traditional Māori Album, Best Māori Song by a Māori Artist and Best Māori Songwriter at the Waiata Māori Music Awards in 2016 and the prestigious APRA Maioha Award twice. In 2017 Rob received the Arts Foundation Laureate Award at the New Zealand Arts Awards. Survivance features some of Aotearoa's finest musicians - James Illingworth (Bliss n Eso), Tyna Keelan (The Nok), Johnny Lawrence (Electric Wire Hustle) and Darren Mathiassen (Shapeshifter) AKA The Witch Dr..